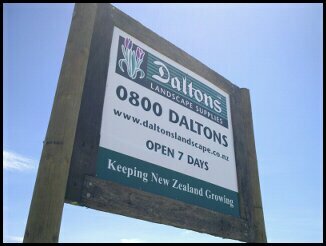 Daltons Landscape Supplies Ltd is a landscape supply chain. With branches in Silverdale (Hilltop Building and Landscape Supplies) and Mt Wellington in Auckland, Mt Maunganui and our main production facility in Matamata. Our teams of experienced staff are focused on delivering a great service and knowledgeable advice to ensure that your outdoor ideas become a reality. Bringing quality professional landscape products to your backyard.